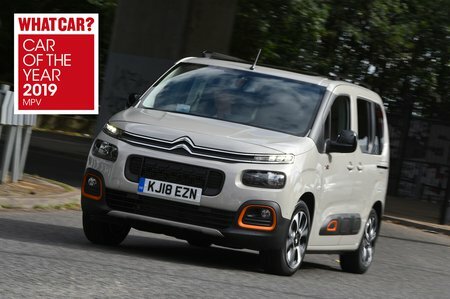 Citroën Berlingo Boot Space, Size, Seats | What Car? First, you need to choose whether you want five or seven seats; the latter choice dictates your selection of the longer XL model and not the regular-sized M version. Our favourite is the regular five-seater, which still offers a vast amount of passenger space for those with a smaller crowd to carry. There’s so much head room in the front and back that it's hard to imagine anybody struggling, and rear leg room is hugely generous, too. The rear bench is also wide enough to easily accommodate three adults, and the two outer rear seats feature Isofix mounting points. There's also the advantage of rear sliding doors that make it a doddle for passengers to get in or out when you’re parked up next to a wall or another car. They're operated manually, though: there’s no option to add an electric sliding function like there is in some rival MPVs. There’s loads of stowage space, particularly in the front, and the cupholder on top of the dashboard is a nice touch; it’s easy to reach and doesn’t obstruct your view of the road. The rearmost windows don’t wind down, though; they simply pop open a few centimetres. 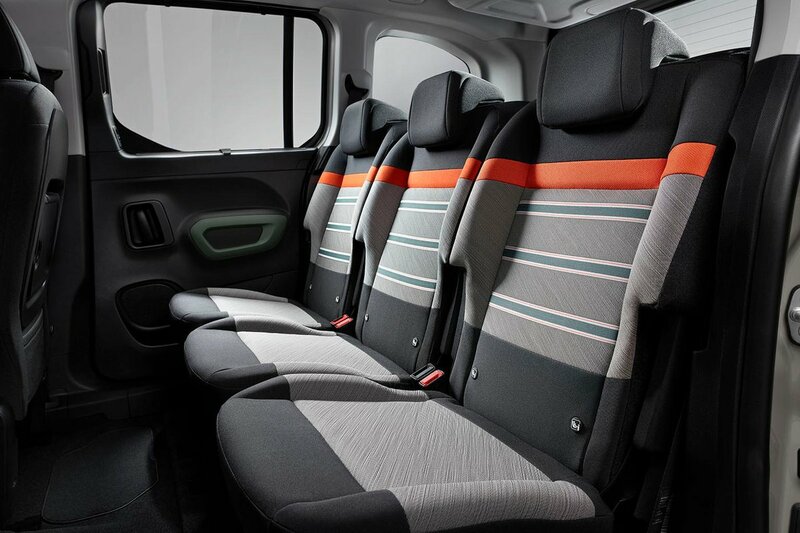 When it comes to clever seating tricks, the Berlingo isn't quite so impressive. The five-seater's rear seats split in a 60/40 layout and can fold down flush with the floor of the boot, thanks to a nifty hinged seat base. However, you can’t slide them back and forth, recline them or tumble them forward like you can in many conventional MPVs, such as the Touran. Opt for a seven seat model and the second row of seats become more flexible; they form a 35/30/35 folding arrangement and can slide back and forth. Head room is also generous in the third row of seats, but leg room isn't exactly lavish. As for boot space, there’s unsurprisingly loads of it. 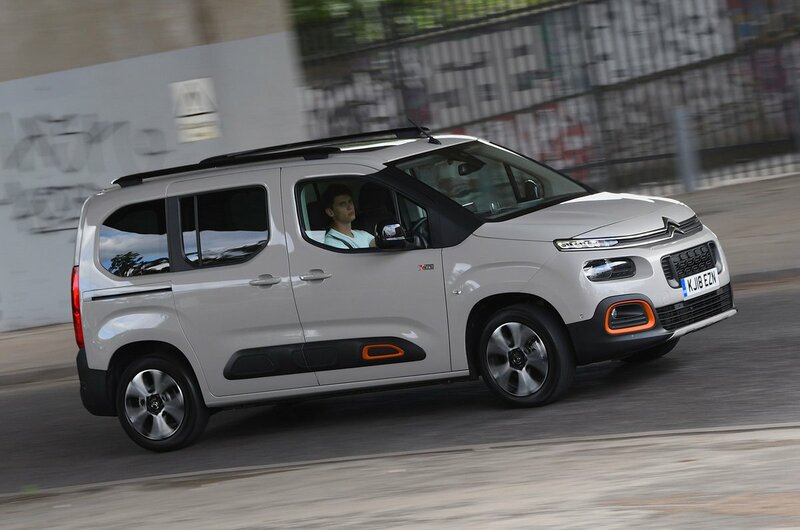 Even the regular five-seater has nearly 775 litres below the parcel shelf (1050 litre for the XL); that’s more than a Volkswagen Touran or, indeed, pricier large SUVs such as the Peugeot 5008. When seven seats are fitted, the rearmost two seats can be completely removed from the car to boost boot space. The boot is square and has no obstructive lip at the entrance, and the aperture matches the width of the boot floor. The only annoyance is how enormous the tailgate is; it’s top-hinged so can only be opened when there’s plenty of clearance behind the car (ie. not in most supermarket car parks). It’s also quite heavy to pull shut and there’s no option to add a powered tailgate.